Loans to meet lifestyle expenses: Does it make financial sense? The festive season is when there are discounts galore and most of the retail outlets as well as the consumer financers are falling over each other to give you easy payment options. Should you really be borrowing for your lifestyle expenses or should you wait to save and go for lifestyle expenses? The festival season is also the season for shopping. Today, your lifestyle is not just a function of what you require but also what your peers are doing. If you neighbour has graduated to a high-end LED television, you would not want to be stuck with the old model. The same argument holds for a high-end double door refrigerator with a lot of fancy features thrown in. Your cousin just travelled on a 10-day trip to Europe and you really don’t want to be left behind. The festive season is when there are discounts galore and most of the retail outlets as well as the consumer financers are falling over each other to give you easy payment options. Should you really be borrowing for your lifestyle expenses or should you wait to save and go for lifestyle expenses? How do you fund your lifestyle expenses? The simplest way is to pay for these expenses with your debit card. Quite often, this is impractical because something like a high-end television or a foreign holiday costs a lot of money, and it is difficult for any middle class family to fund these expenses with their savings. You can always fall back upon your good old credit card. It is quite simple; just splurge on your credit card and you can repay in instalments. Your retail outlet or bank can also work out a smart EMI scheme for you. Be cautious of two things though. Your credit limit is frozen to the extent of loan outstanding. Secondly, credit outstanding comes at a fairly steep cost of around 3% per month. The friendly banker is always willing to give you a personal loan based on your CIBIL score. The challenge is that a personal loan entails a fixed commitment in the form of EMI each month for of 3-5 years. Further, rates of interest at 15-17% are quite steep. Finally, you can take a loan against your assets. The bank will be willing to fund up to 50% of the market value of your shares or mutual funds. In case of bonds, you can get a loan up to 75% of the value. You can also pledge your gold ornaments and get a loan against that. 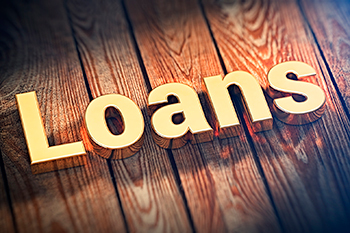 These loans carry a lower rate of interest compared to personal loans. A word of caution here. Such loans are for a short period of around 1 year or so. If you are unable to pay back the loan, your financer will dispose the assets to recover the loan. Should I borrow to meet my lifestyle expenses or should I plan my lifestyle according to my income? That, in a way, is the million dollar question. Does it make sense to really try and finance you television or refrigerator with a personal loan at 17% interest. A TV and refrigerator are unproductive consumption assets. Is it worth pledging your equity and mutual funds for a European holiday? The better way is to save regularly and plan for such expenses. Scenario 1: You want to buy a stainless steel multi-door Whirlpool refrigerator with 570 litre capacity, an in-built compressor, and a bottom freezer. It costs nearly Rs1.50 lakh in the market, but you can buy it on Amazon at Rs1.20 lakh. How do you plan this purchase? Find the calculator here: https://www.indiainfoline.com/calculators/sip-calculatorAll you need to do is to save Rs10,000 per month via a conservative debt fund SIP. Even assuming that you earn 8% post-tax, you will reach your target at the end of one year. You can argue that you contributed the principal of Rs1.20 lakh, but what matters is the discipline you adhered to. At the end of the year, you have the high-end refrigerator in your kitchen with no debt to worry about. Scenario 2: You want take your wife and little daughter on a 7-day trip to Eastern Europe. You have calculated that your all-in cost including the air-fare, hotels, and food and shopping will come to Rs5 lakhs after 3 years. How do you plan for that? With a 3-year time frame, you can take a slightly higher risk to earn 9% on your bond funds. You just need to invest Rs12,000 per month for the next 3 years, and you are ready to go to Eastern Europe. Unlike in the case of the refrigerator, here, your ROI takes care of 13% of the cost and the balance is your investment. You save the interest payouts, you make money work hard for you, and you achieve your goal without the debt burden. This is definitely a better way to meet your lifestyle expenses!